Do Brands Matter in Public Transit? Metrolinx, the provincial government agency that oversees public transit in southern Ontario, including Toronto, recently found itself under fire for spending upwards of a quarter of a million dollars to refresh its brand. The agency says the primary impetus for the project is a lack of public understanding of what it does. Research Metrolinx conducted in 2016 found that nearly half of the residents the agency serves don’t know what Metrolinx is or what role it plays. Still some charge that the transit agency is wasting taxpayers’ money on a mere stylistic logo change that has no connection to any real-world service improvements. The uproar around this branding exercise raises some interesting questions. 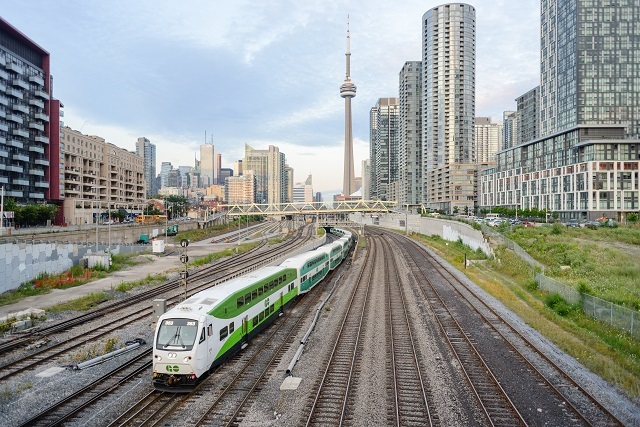 What is the role of branding in a public organization like Metrolinx? And are the benefits of a strong brand sufficient to justify this kind of expense? For many organizations, brands provide an important competitive advantage. Brands make one kind of soap or soda feel different from the others – more compelling, more attractive, more memorable. This motivation may seem less important in the world of public transit, where there is generally less direct competition between systems. After all, it’s not like there’s another company with a sexier brand running buses and trains around Toronto. But brands can perform other functions besides competitive differentiation. And some of these functions are actually very important for public transit. A strong brand can create a sense of consistency, continuity and trust. In the world of public transit, trust is critical. Without trust in the system – and in the entity that operates it – citizens are less likely to leave their cars at home and choose the bus or train instead. When that happens and ridership drops, the results go well beyond the financial impact of declining fare revenues. After all, public transit is essential to an environmentally sustainable urban future. Increased ridership delivers many benefits to cities: less traffic, less pollution, better public health and safety. Decreased ridership has the opposite effect. This problem isn’t just theoretical. In Washington D.C., declining trust in the Metro transit system, from maintenance and safety issues that negatively impacted its brand, led to 40,000 fewer riders between 2010 and 2014. Three years later, efforts to reverse the drop continue to be hampered by a lack of public trust. The logo is the most visible element of any brand. But a brand is more than a logo, and a brand refresh like Metrolinx’s, if done well, generally encompasses much more. A solid brand strategy connects isolated products or experiences to a bigger story with greater meaning. A bigger vision of the world and the brand’s place within it. We pay more for Nike shoes, for example, based on more than just the design and features of the shoes themselves. Nike’s simple swoosh logo contains layers of meaning and associations that connect to our own beliefs, desires and self-image. Metrolinx isn’t selling shoes, but it is selling a vision. The organization is about to embark on what Ontario Transportation Minister Steven Del Duca has called a “once-in-a-generation, once in a lifetime” opportunity to expand transit in the region. This expansion will cost upwards of $34 billion. And Metrolinx can’t do it successfully without the cooperation and support of the community. The best way to earn that support is with a clear vision and a compelling story. Oh, and it’s also helpful if more than half the people know you exist. One more bonus: A compelling brand can galvanize employees and bring new value to the organization on multiple levels. Improved engagement can boost employee retention, lessening recruiting and training costs. Stronger alignment between departments can help teams focus better and improve operational efficiency. A greater sense of purpose and meaning can inspire employees across the organization – from front-line staff to executive leadership – to go the extra mile to help realize the vision. Public statements from Metrolinx have made it clear that the brand project also includes a significant research component. This is typical in projects like this. In addition to the functions mentioned already (differentiation, telling a bigger story), brands also help organizations better understand and align with their customers. Brand research, done well, creates empathy within the organization – a deeper understanding of what customers truly need and care about. This is especially important today, at a time when many public service organizations, including transit authorities, have been given new mandates to be more customer-centric. Historically, transit authorities have been run by engineers with something of a “trust us we know best” attitude. Today, these organizations are being forced to come to grips with the high expectations of modern customers empowered by digital and mobile technology. This difficult shift typically begins with efforts to create a customer-centric mindset within the organization at large. In the best-case scenario, customer research done in support of a brand refresh would accelerate these efforts, increasing customer empathy and, eventually, leading to better experiences for millions of riders. Of course, the best-case scenario doesn’t always come to pass. The truth is, many brand refresh projects fall short of the ideal. Some of them are less about solving real problems and more about a new coat of paint. A few even do more harm than good, distracting the organization from real, pressing problems instead of helping to solve them. But for transit systems in particular, the risks of not acting may be even greater. If ridership declines due to a lack of trust or ability to keep pace with the needs and expectations of modern, digitally enabled citizens, cities will face more pollution, more traffic and more health and safety risks. And if community support declines in absence of a compelling story, planners will be unable to address these problems by improving transit infrastructure. John Ounpuu is co-founder of Modern Craft, a Vancouver-based consultancy focused on helping brands keep pace with modern customers.